Upwards and onwards. 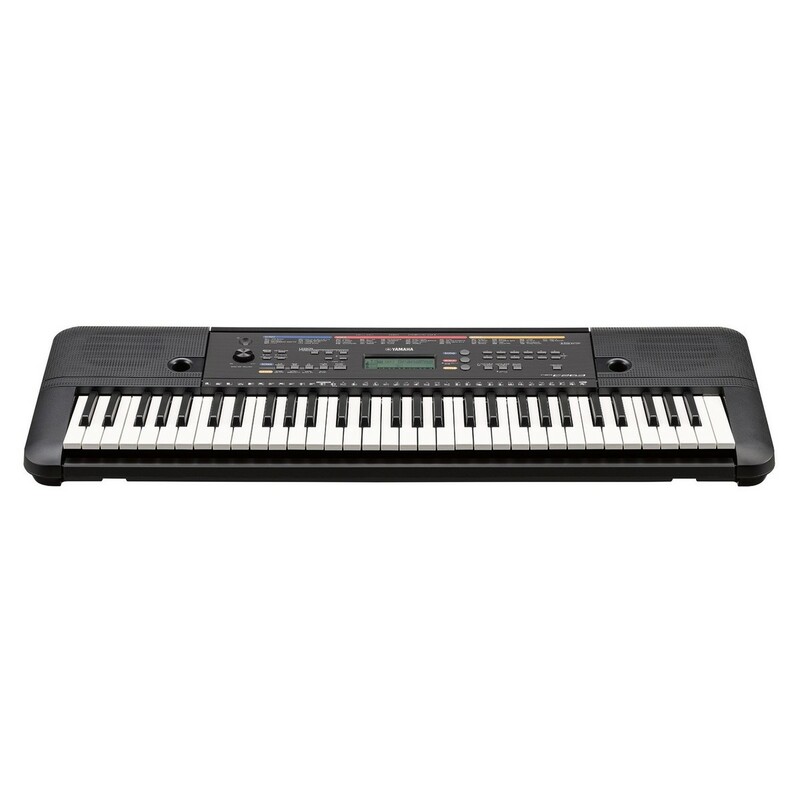 Take on your learning journey with the Yamaha PSR E263 Portable Keyboard. Built with 61 keys, the PSR E263 is simple and easy to use. Equipped with over 400 voices, the E263 allows you to explore a range of presets and sounds, along with a variety of songs that lend themselves to instructive music lessons. Thanks to the 'Keys to Success' and 'Y.E.S' lesson functions, the E263 is equipped to assist your independent learning. So you can take control of your personal development. Connect your portable music player to hear your favourite music through the instrument's speakers. Play along and you feel like you've joined the band! With the incredible 'Duo mode', two can play together on the same instrument by creating two middle C notes. 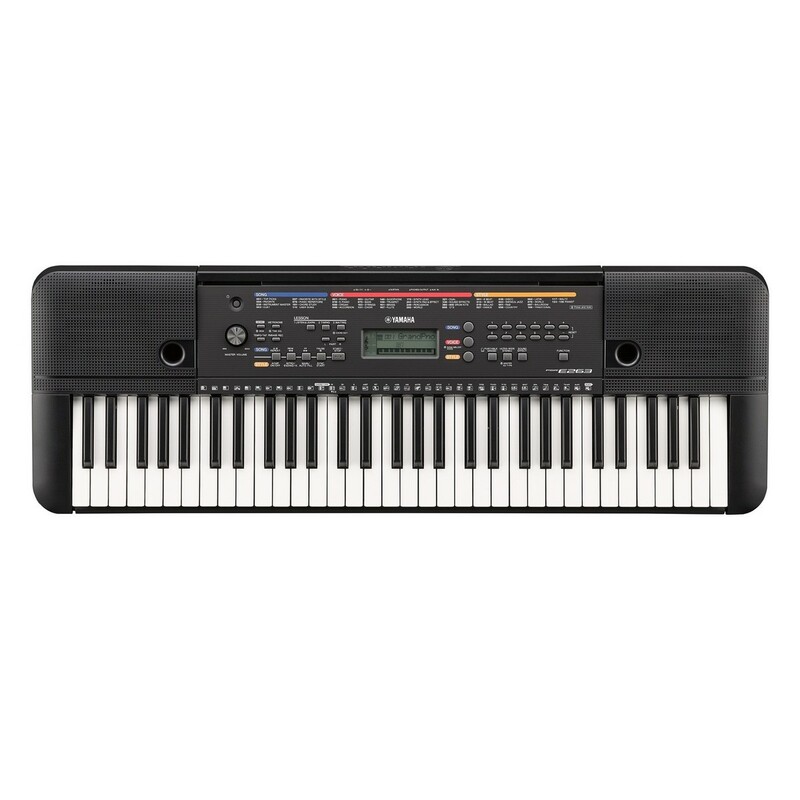 With the PSR E263, enjoy playing and practising the piano with friends and family! All thanks to Yamaha’s Education Suite (Y.E.S), you can learn and develop in your own time and space. With the three-step lesson function you can assign, track and score tasks as you play. The nine stages are split into left, right and both handed tasks. Allowing you to comfortably develop each hand for melody and chords, before combining them to perform your pieces. The range of songs include varying difficulties for a whole range of classic tunes. So you can enhance your skills in your own time. Challenge yourself with the PSR E263! The PSR E263 benefits from a comprehensive voice library. So you can explore a range of sounds and rhythms. 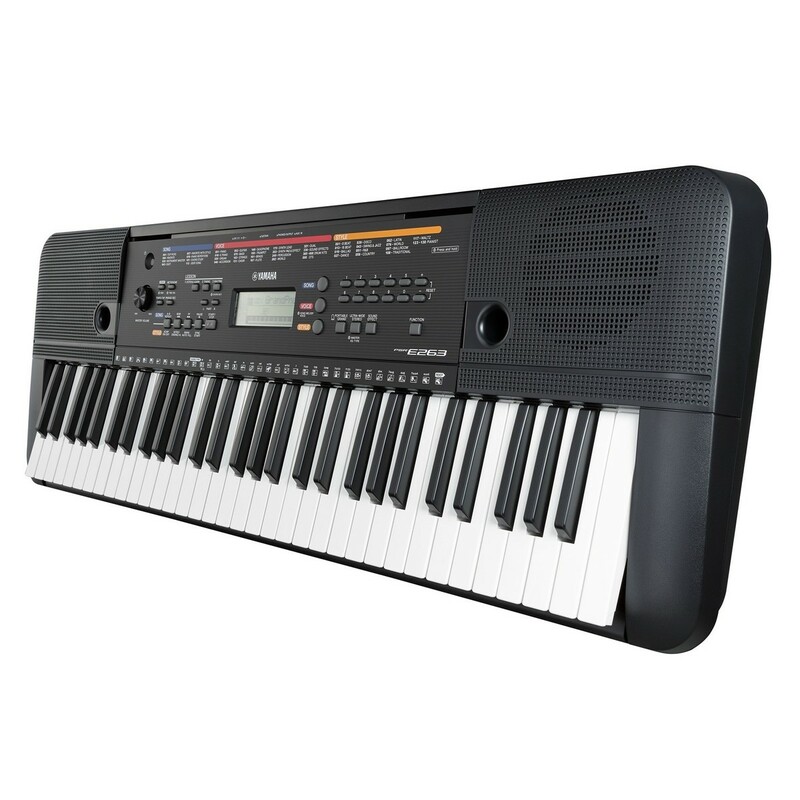 Featuring over 400 high-quality voices, the PSR E263 includes a range of keys, synths, guitars and brass instruments to be explored. Ideal for anyone that seeks to experiment with different genres, or simply add layers to a band. Each voice can be enhanced with the different types of reverb, chorus, arpeggio and more, to add unique dynamics to your playing experience. The E263’s library can be easily controlled using the intuitive interface and display guide.